Relations between Turkey and its NATO allies are strained as its president pivots toward Russia and other countries. And in Syria, it faces a military quandary in its fight with Kurdish forces supported by the United States, an ally. Michael Houlahan, a retired foreign service officer who tracked Turkey for three years, will address the country’s domestic and foreign policies at noon on Friday, March 16, as part of the community’s Great Decisions series. President Recep Tayyip Erdogan, in power for 15 years, gained popular support through economic policies including health care and pensions for all citizens, and infrastructure projects that facilitated growth. Politically, he has steadily moved from pursuing liberal democracy on the Western model toward populist authoritarianism, including a blurring of the separation of powers and an increasing crackdown on dissent. Yet, Turkey remains the most democratic and secular country in the Islamic world. It has a capitalist economy, a strengthening middle class and a youthful population. Turkey’s geostrategic position between Europe and Asia Minor made it an important NATO partner of the U.S. in the Cold War with the former Soviet Union. Today, it has difficult relations with its NATO partners, particularly the U.S. It recently bought a Russian missile defense system. Houlahan received his undergraduate degree from Dartmouth College and earned a master’s degree in international public policy at The Johns Hopkins School for Advanced International Studies. Following a three-year tour in the U.S. Army Counter Intelligence Corps, he served 28 years as a foreign service officer in the U.S. diplomatic service, where his overseas postings included Japan, Romania, New Zealand, Cyprus, Italy, India, Philippines and Jamaica. Houlahan has published more than 60 articles and reviews, most of them specializing on the Philippines, including guerilla movements, the Ferdinand Marcos regime and World War II. 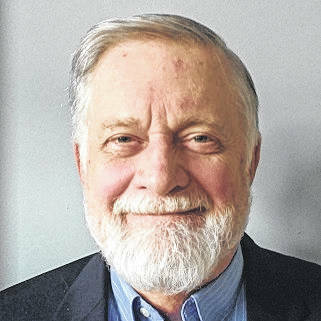 After retiring, he was coordinator of the Great Issues Lecture Series in Upper Arlington from 2002-2011 as well as a resource speaker for the Foreign Policy Association’s Great Decisions Lecture Series (since 2001). Since 1997, he has been a resource speaker for the American Foreign Service Association’s community outreach program. All Great Decisions discussions begin at noon in the fellowship hall of the William Street United Methodist Church, 28 W. William St., Delaware. The final session will take place Friday, March 23. The topic will be “China and America: the New Geopolitical Equation” featuring Ji Young Choi, associate professor in Ohio Wesleyan University’s politics and government department.